Have it already … YAY!!! Will hopefully spend some fantastic days on and with it as soon as we’re done with the J-classics. Can’t wait for Bunnie to bring out some sail and hull designs in order to really make it MY boat. 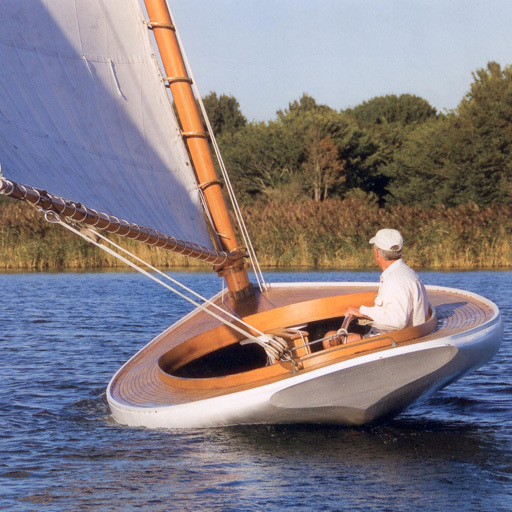 Such a lithe and powerful little boat… it’s a dream. Will there be sail templates and hull templates? A wonderful boat, great performance on the water – either with a comlete crew or sailing alone. The animations for changing the place are great. 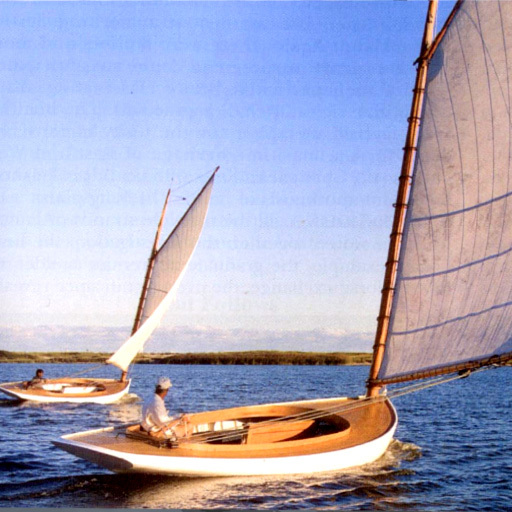 I think its a very good new boat – for racing but for delightful cruising ‘though. Congrats Jaqueline! Wow, what a cool Catboat, thanks for launching her into SL. Really awesome lines and big fun to sail. Your new vessel is so beautiful, its poor fun like the old Beach Cat brought. I grew up in Blue Point, the town next to Patchogue in the 50’s. My Dad bought one of the first Flying Dutchmans from Holland. In heavy air we had the Queen of the Bay, but there were Gil Smith cats called “P Cats” that were 28ft and very fast. ( I assume P was for Patchogue, but they looked a little bulkier than the cats on this site.) Most of the time the P Cats could stay with us, and they were much faster in light drifters. What was so impressive is that we were in this modern machine out on the trapeze getting soaked and the P Cat could be sailed by anyone and they were dry — a fantatitc boat. I’d love to see the faces on PHRF racers today if someone showed up with a well rigged P Cat. 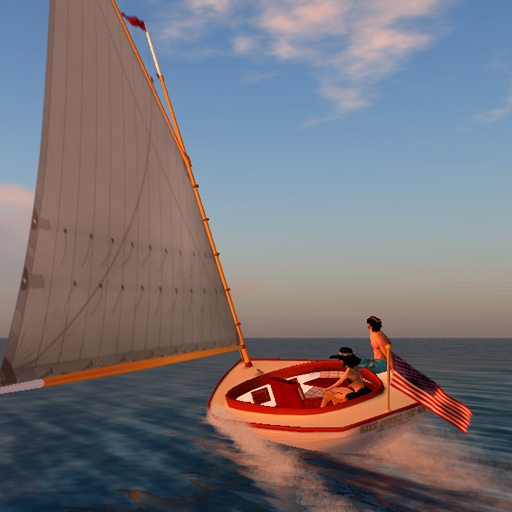 I’m just learning to sail in Second Life, and have never sailed in the real world. 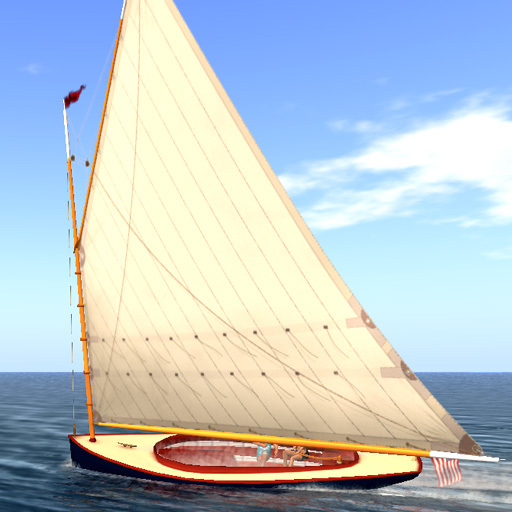 I had no intention on learning to sail in SL either, until I saw this boat at the Trudeau shipyard and fell in love with it. No racing (yet), but she’s so sweet and easy to handle, and flies so fast when I catch the winds right, that it has me laughing in both worlds. I’m learning a whole new language and set of skills, and one day I hope to translate as much as possible into the real world. Until that time though, I’ll keep learning and practicing in SL! My sister and I have gone out sailing for hours on her and enjoyed it immensely. There are times when we don’t even talk, just sail and enjoy. She is named ‘Curious Bliss’ and is the joy that brings a smile to my face when I think of sailing now. 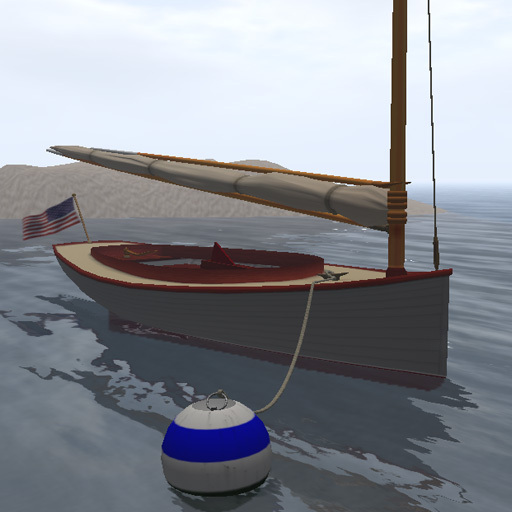 Thank you so much for putting this graceful boat out on the SL waters! Hi Annie, the blue dialog was presented to you because you came within range of a race windsetter. Patchogue listens to the broadcast from those devices. Unless you are taking part of a regatta, the appropriate response to that prompt is ignore. As to why your boat’s wind is no longer working, that can happen and I don’t think it is related to the windsetter prompt. Try this. Rez your boat inworld, right click it and select Edit, then choose Reset Scripts In Selection from SL’s tools menu. then board the boat and cast off. I love that we can customize name, hulls, and sails. Have named all my boats and now I am getting into the sails. 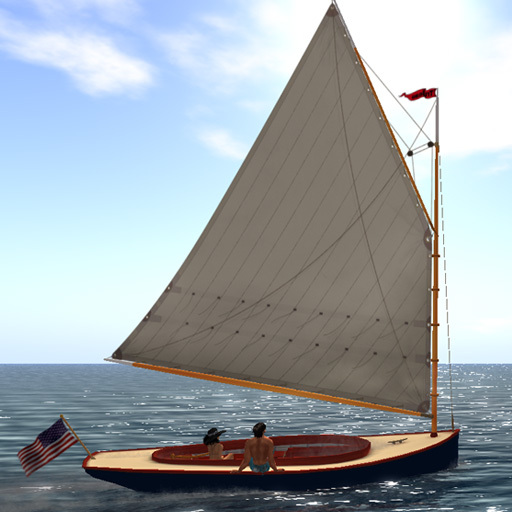 I was wondering if there is a psd file for the Patch similar to what you have provided for the Leetle Cat, that is… the complete sail texture with layers for stitching and rigging, ets. As it is, my PatchogueSail.psd is just a blank shape… so if i make a sail and install it, I loose all your wonderful details. Hi diamond, the work on this particular set of sails was done by someone else and the published templates reflect the wishes of the artwork’s creator. I went to High School in Patchogue, Long Island, and I often sailed the Great South Bay- I had to get this boat as soon as I heard about it, and I absolutely LOVE the way she sails. It is every bit as much fun as my TruCor Beach Cat, and very nearly as fast when you get her leveled out. Patchogue catboat has a long life undersail SL waters. By the way, enjoy sailing Patchogue wherever the wind blows!